In the early years of University of California, there were no University residence halls, food service, counseling programs, publications, activities, advisors, or even University sponsored athletic teams. Students organized their own activities and services. On the few occasions when an issue came up that affected the entire student body, some well-known student would organize a “mass meeting” where students would pack into a room and debate the issue until a general consensus was reached, or everyone became tired and went home. 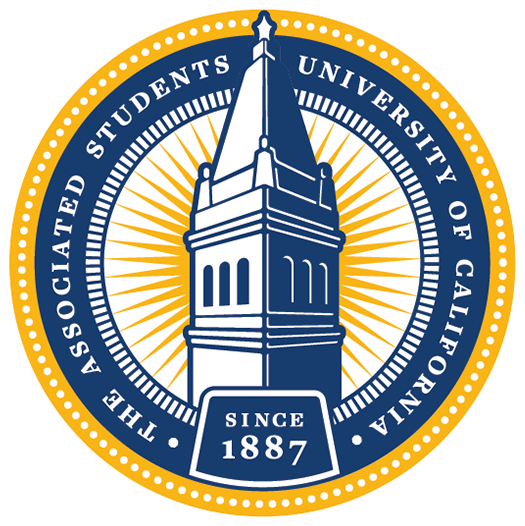 The Associated Students of the College of Letters and Sciences (later shortened to just ASUC) was officially founded by students on March 2, 1887 as a student government independent of the University. The first constitution was written in a leatherbound book that houses the constitution and minutes from Senate meetings dating from 1887-1900. The original constitution is kept in the ASUC office in Eshleman Hall. You can see some pdfs of pages from the original constitution here, here, and here. The Cal Student Store has been around since 1884, providing students a place to purchase their textbooks, stationery, and other materials including, at one point, coal. It was originally located where Bancroft Library now stands and was known as “The Co-op”. It was managed by the Student’s Cooperative Association until 1913, when it was mutually agreed that the ASUC would take over the store. To this day, the store’s revenue helps fund student groups. You can read a report compiled for the 100 year anniversary of the store here. 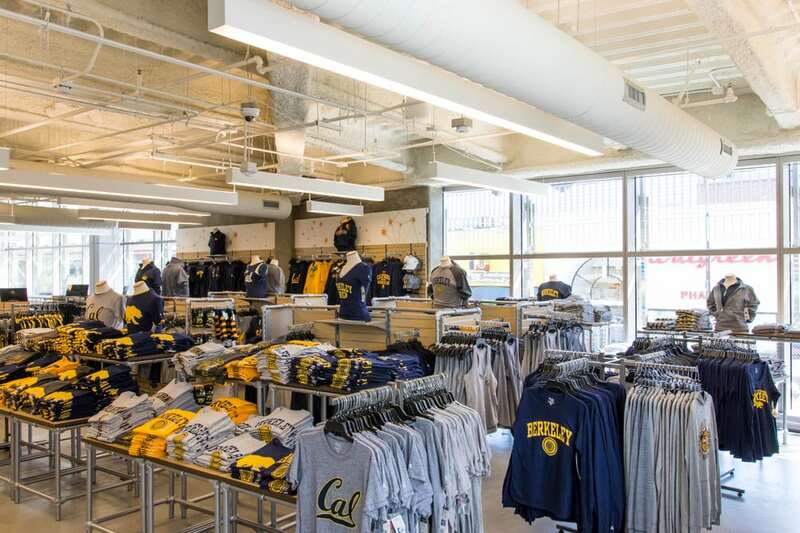 The inside of the Cal Student Store in its current location in the MLK Jr. Student Union. 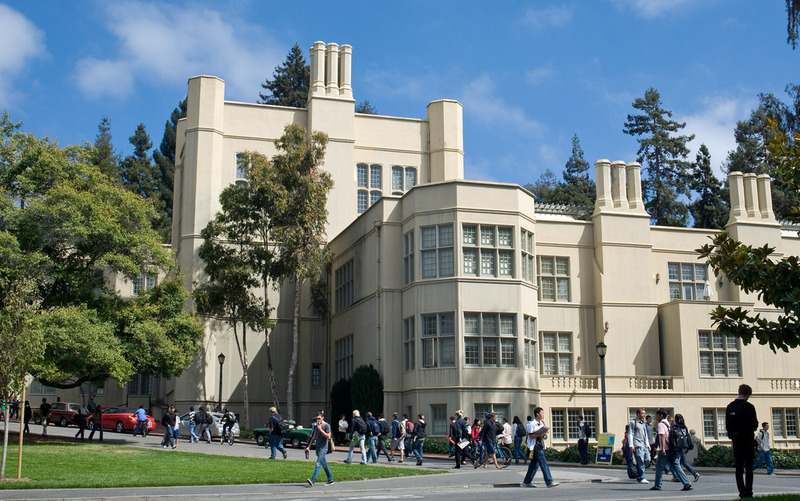 The ASUC was heavily involved in developing the first real “Student Union” on campus, Stephens Hall, and the adjacent “Student Publications Building”, Eshleman Hall (now Moses Hall) south of the Campanile. ASUC funds also helped construct other buildings on campus, including Harmon Gymnasium and Edwards Field. You can see some of the original blueprints for the Stephens Hall renovations here and here. Stephen’s has since been replaced with the MLK Jr. Student Union. The Student Union used to be located in Stephen’s Hall, pictured above. At the beginning of the 1960’s control over the intercollegiate athletics was transferred from the ASUC to the University (a similar transfer occurred at UCLA). Up until this point, athletics were a major source of revenue for the ASUC. While, in retrospect, some students have wondered whether this was a wise action, the ASUC leaders of the time seem to have regarded it as a sensible step, partially because of worries about the increasing expense of maintaining competitive athletic teams and debts associated with the athletic facilities. The transfer occurred quietly, and brought to an end the ASUC’s direct role in an activity which has played a large part in its creation, and identity over more than seven decades. Constructed in 1920’s by students in the Forestry Department on Forest Service Land, Cal Lodge is based around Lake Tahoe. Since 1987, Cal Lodge has been managed by the ASUC. Through several caretakers employed by the then ASUC Auxiliary (now the ASUC Student Union), Cal Lodge has brought the ASUC revenue and given student groups a place to hold retreats and ski trips at a discounted price. You can see some more photos of Cal Lodge from 1987 here. 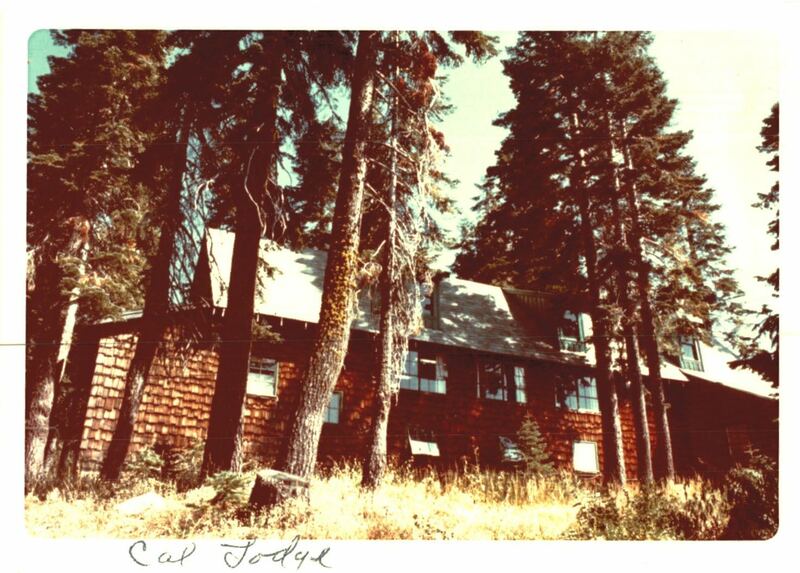 A picture of the outside of the Cal Lodge from 1987. In Smith vs. Regents, the California Supreme Court decided that compulsory student government fees could not be used to support religious, political, or ideological organizations or activities. The ASUC created a pamphlet (which you can read here) that explained the decision and its implications. About 2 years later, an Appeals Court decided that this rule would not apply to organizations if the main purpose of the club was educational. Thus, Smith vs. Regents was overturned and this pamphlet was rendered irrelevant. In 2005, the Academic Affairs Vice President, Jason Dixson, gave a speech (which you can read here) to former UC President Robert Dynes, former Chancellor Robert Birgeneau, and other members of the Faculty. He spoke about the Lower Sproul Redevelopment Project that would finally come to fruition in 2015, ten years after he gave this speech. The project included renovating MLK Jr. Student Union and demolishing and replacing the old Eshleman Hall. You can see a time-lapse of the demolition and construction of Eshleman Hall here. 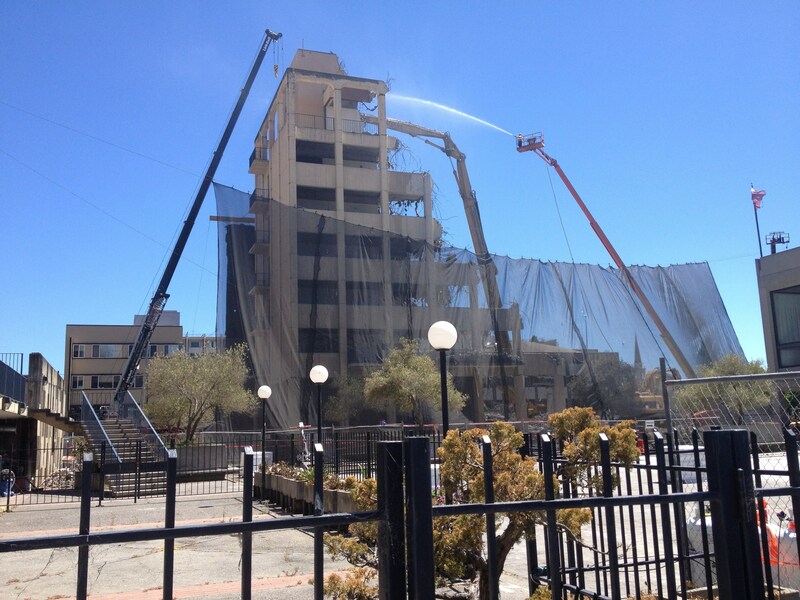 The old Eshleman Hall being torn down to make way for a new building as part of the Lower Sproul Redevelopment Project. In 2007, the ASUC hosted a banquet to celebrate the 120th anniversary of the association. Many former ASUC Presidents from the 1950’s-2000’s were invited to speak. You can view the program from the event here. Created in 1987 for the acquisition of Cal Lodge, the Commercial Activities Agreement (CAA) was updated in 2012. The new CASSA agreement created the ASUC Student Union (formerly the ASUC Auxiliary) which is controlled by a board consisting of representatives from the University and the ASUC. The Student Union oversees many commercial operations previously controlled by the ASUC, including the Bear’s Lair, the Cal Student Store, and the food services provided in MLK. You can see the CASSA agreement signed by the ASUC President and UC Berkeley Chancellor, as well as other Memorandums of Understanding signed by the ASUC, in this folder here of the ASUC Central Drive.